Learn How To Make Friends With Aquarius! When dealing with Aquarius people, the most valuable piece of advice is to be friendly but not pushy or aggressive. Their intuition helps them to see if friendship between them and other people is possible or not. Besides, they know exactly what they can and can’t bear so make sure you comply with all these rules. Aquarians will give you a sign when they see they can treat you as a friend.  An Aquarius person can help you clean your apartment, babysit your dog, or accompany you to the doctor. These signs are simple yet doubtless and will show you if you’re on the right track to becoming a little bit closer to the person you’re eager to make friends with. Set the tone for the whole day – ideas for Aquarius!